Mohammad Sabah has always been searching for answers. As a child he spent hours piecing together clues in detective novels, and as he grew older he took a personal interest in the study and comparison of world religions. As a gifted student and professional, Mohammad’s search for answers manifested as a great love for computer programming and how it can be used to solve the most challenging of problems. More recently, this thirst for answers has cultivated Mohammad’s expertise in the world of data science. Within that world, his focus is on machine learning—a form of artificial intelligence based on computer science and statistics that when applied, is literally the science of teaching systems to learn from data. As head of data science at Workday, the work of Mohammad and his team is foundational to Workday Insight Applications, a new suite of applications Workday announced in November. Business leaders could use these applications to ask challenging finance and workforce questions, and in turn these applications would deliver insights and recommend actions. They’re also being designed for simplicity, to deliver recommendations as easily as a consumer map application recommends the best route to get home during rush-hour traffic. Mohammad, a naturally fast talker, shifts into hyper speed when discussing Workday’s plans to put these insights and recommendations into the hands of customers. Mohammad knows the consumer side well and has worked on some of the world’s largest datasets. As manager of data science and analytics at Facebook, he led a team that worked on optimizing timeline ranking, privacy, and profile prediction for more than one billion users. In a previous role at Netflix, he led the research and development of machine learning algorithms to improve movie recommendations. 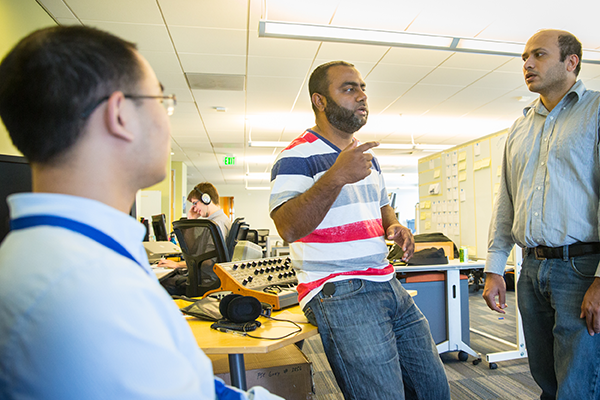 Mohammad transitioned from the consumer to the enterprise world in 2013, when he was hired as chief data officer at Identified. In February 2014, Workday acquired Identified, with the company’s team joining Workday’s technology products and development groups. Mohammad was born in Rourkela, India. He started reading voraciously at a young age, and this lifelong enjoyment of reading has evolved to focus mostly on nonfiction despite an early fascination with Alfred Hitchcock and Sherlock Holmes. When not reading in his spare time Mohammad likes to get active—he’s passionate about cricket and plays on a local league, enjoys a good game of racquetball or squash, and plays soccer and basketball with his two kids. Mohammad was an exceptional student, earning a National Talent Search Scholarship, an award India grants to fewer than 1,000 youths among some 300,000 who take the exam. In 2001, he left India to earn a master’s degree in computer science at Virginia Polytechnic Institute and State University. Three years later, Yahoo lured him to California with a senior research engineer/scientist job offer. 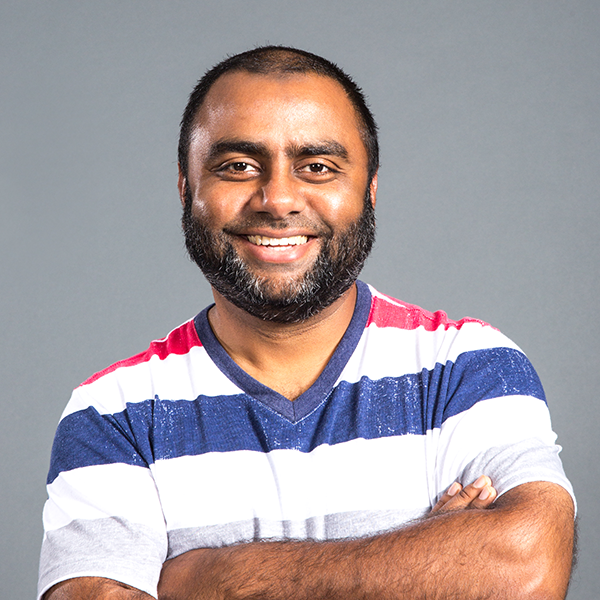 When he joined Identified, Co-CEO and Co-Founder Adeyemi “Ade” Ajao tasked Mohammad with the job of extending the capabilities of a data classification technology called SYMAN with machine learning algorithms, so that SYMAN could be applied to new types of enterprise applications and improve search relevance and recommendations for customers. For example, among the first expected uses of Workday Insight Applications will be helping companies stop the loss of top talent to competitors and other opportunities. An application would start with uncovering workforce patterns—such as employee tenure, time between promotions, and performance review data—and then combine those patterns with external data such as indexes of public job postings that highlight high-demand positions in an industry or region. From there, a manager could see which top performers are most likely to leave and pull up recommended job changes for each person ranked by impact on retention risk. In addition to Workday Insight Applications, Mohammad’s team is also working to enhance the customer experience and search capabilities across Workday’s products and technology foundation. For one, they’ve applied SYMAN to Workday Recruiting, making it easier for customers to search talent pools for a specific role by scouring data for keywords that are related yet not necessarily the exact same as those used in the official job description, helping customers discover potentially overlooked candidates. With the emergence of many advanced open-source technologies in recent years, Mohammad notes, it’s now possible to process and scale much larger amounts of data than ever before. Organizations have constantly growing amounts of data—the challenge has been not knowing what to do with it. Yet all this data would be meaningless without context, he says. It’s critical that business systems know a user’s role, organization, and security rights, as well as the specific decisions he or she faces related to such things as costs, budgets, and people management, and deliver it all within a great user experience.